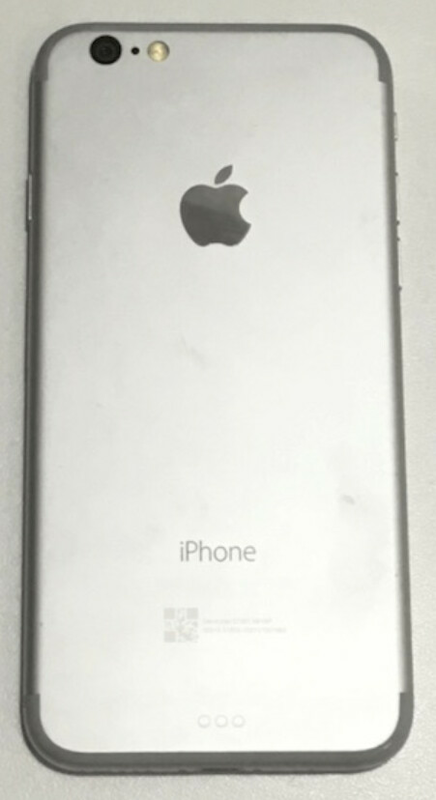 A silver dummy unit allegedly of the Apple iPhone 7 has leaked. Right off the bat, you can see that if legit, Apple has removed those controversial antenna lines that have bothered many owners of the Apple iPhone 6 and Apple iPhone 6s series. There has been talk about Apple removing the bands this year. At the bottom of the purported dummy unit, you will see the Smart Connector dock. Over the weekend, we told you that the latest report has Apple putting the kibosh on plans to include the magnetic docking port on its smartphone. And the camera on the dummy unit indicates that Apple is planning on using a flush design for the rear snapper, something that we have been expecting. We also could see the iPhone 7 launch without a 3.5mm earphone jack. Apple was said to be removing the jack in order to make it easier to waterproof the phone (one less opening means one less opportunity for water to enter the inside of the device) and to allow more room for a higher capacity battery inside the device. Earlier today, a sketch that supposedly was made of the iPhone 7, revealed that we could see fewer changes than usual to the product following the "S" year of the handset's usual two-year cycle. This would dovetail with comments made last month by connected Apple analyst Ming-Chi Kuo who said that the iPhone 7 won't have many "attractive selling points." It has removed some of the antenna lines. Not all. Yep. Top and bottom. I think this is a much better place to put em. I never understood why the lines had to go across the body of the device. Android or Apple. This is much more seemless looking. No more dual camera? It looks like Apple is confuse. You mean, Meizu looks like iPhones. Chinese have never done anything original. Might look better if the dummy actually showed the bigger camera module + correct position. Ok wtf. The 6s looks better than this. Nothing is new and that is kind of upsetting. I know it's just a phone and that there isn't much you can do but come on. 3-4-5-6 were ridiculously redesigned. This is just old. Most phones look similar to their own predecessors as time goes on. LG, HTC, Motorola, and Samsung have all done this. A familiar design is recognizable. People aren't looking for it to be 100% different than the previous model, and even if it were headed that direction, how much different would it really need to look? Customers are looking at the screen itself while using it, not the back of the phone. Can't believe that this is the same company that gave us 2 of the best designed phones ever in the iPhone 4 and 5. I hope it just a dummy lol, or it's gonna be bashing like never before. That phone in the pic is über fugly. It's kind of tough to tell from that pic. Going off what I can see, it's not a good look. I'm hoping that it's a mock up, or a test unit. I prefer the antenna lines of the 6 series to that. This is a big release for Apple, it needs a homer, that ones a foul ball. Apple is not going for the big redesign as usual this year. This is the backup phone. The big redesign will not come until 2017. There won't be an S model next year. It will go straight to iPhone 8 next year. That'll be a much better plan than an S model. They need to go hard. 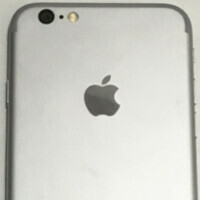 Please, that is what everyone said about the iPhone 6 dummies that leaked before its release and people called it fugly. No one was willing to believe that Apple would release that thing until they did, and then all of a sudden it was elegant and "felt nice in the hand". This is just another similar situation and as soon as it is out the media and iFans will once again use the "if it ain't broke don't fix it excuse" to justify everything. Lol, SO TRUE! I can already imagine all the iSheeps lining up for what they were initially calling "fugly"/"old"...once apple commands "look at how beautiful it is" on stage, all iSheeps must agree, apple can do no wrong. I'm in über über mode lol. That is exactly what everyone said when the iPhone 6 leaks came out. That's not a good sign. "2 of the best designed phones ever in the iPhone 4 and 5." Huh, Are you serious? iPhone 4 was actually the best during that period. I still remember when android was still all plastic-ky and ugly as hell. The only android I liked during that time would be HTC Hero, it really felt premium for some reason. IMO this looks much better than 6 and 6s. Now they only need to reduce those damn bezels. Looks much better, unlike that moto phone... A dock would be good, and I guess that means you could use charging cases with it as well. Er, there are obvious antenna lines. I think it looks simple, kinda like you. Why do you always have to attack anyone who criticizes anything made by Apple? And what's up with the instant upvoting, aren't you tired of those childish antics Samsungphanboy? You're not fooling anyone buddy. A. Why do you care? B. What part of his comment is worth defending too you? C. I don't upvote anything here because I ain:'T a slave to the circle jerk sections you all have here. D. Samsung Phanboy???? E. Do you know what he calls other people in other articles including myself? No. Then STFU and crawl back to the sewer you hobbled out of. Enjoy your circle jerk fellas. Hope you have a wonderful time. That post would be better directed at Techie, or Arte8800, not maherk. Nope, That post is well directed. +1 to kiko007. Excellent comment. @ kiko007 Just to let you know I upvoted your comment.